Oh, my our friend Zach and us devoured these amazingly tasty ribs, pork and beef alike, from none other than the Meat Shop. Mix oils, ginger, Sriracha, and aminos vigorously until they form a smooth consistency. Rub sauce generously on ribs. 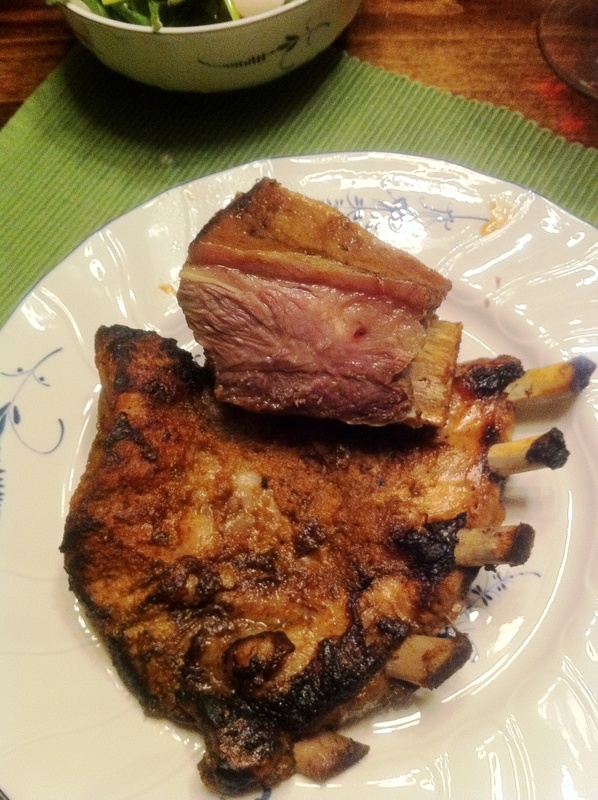 Heat cast iron pan on high heat and cook each side of ribs for 2-3 minutes. Pre-heat oven to 450 degrees, place ribs in large casserole and cover with foil, cook for 40 minutes.